From selling more expensive “special drinks” to adding branded merchandise to your cafe, there are a number of things you can do to boost your revenue. 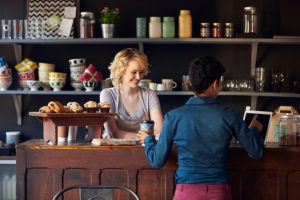 Boosting sales in your coffee shop isn’t just down to being aware of the latest trends, like gourmet coffee and healthier snacks. It’s about being clued-in to key strategies that have been proven to boost revenue. From putting the focus on more expensive “special drinks” to adding branded merchandise to your cafe, there are a number of things you can do to stand out, attract new customers, and keep the old ones coming back time after time. When Starbucks starts selling wine after 4pm, slowly rolling the program out nationwide, you know they’re onto something. If you haven’t yet heard of Starbucks Evenings, you will soon. They began as an experiment in 2010, as a way for the coffee chain to capitalize on slower times of the day. Since then they’ve slowly started implementing the program in cities across the U.S. By 2019, Starbucks projects that Evenings will add about $1 billion to overall sales revenue, and that by the end of 2019 the program will be in operation in 20 to 25 percent of stores across the U.S. In addition to offering both wine and craft beer, they will also offer small plates of food, currently a money-making trend for restaurants. That said, it’s not just Starbucks testing the “alcoholic” waters—other small chains are trying it out too. Snappy Salads, a Texas-based chain specializing in salads and soups, found that adding wine and beer to the menu increased dinner time sales by five percent, and as of 2014 represented 35 percent of all sales. 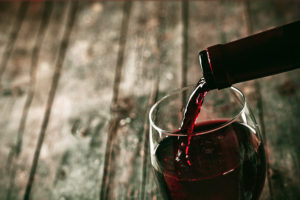 For many companies, adding wine to the menu is a strategy to boost sales during slower times of the day, but it’s also a way to broaden the customer base. The real challenges, however, relate to laws and regulations. Snappy Salads had to hire a lawyer to help, and even then the process took six months to complete. For The Coffee Peddlar, it took even longer, and they were issued their wine license after a full year, beer permit still pending! The term “laptop hobo” is not one we invented—it’s used to refer to cafe-goers who make heavy use of freely available Wi-Fi and power outlets. The more tables you turn, the greater your revenue. It stands to reason then that if you’re subconsciously encouraging people to stay, you’re going to be losing money. As nice as it is to be able to provide your customers with a great experience—free Wi-Fi, comfortable seating, plenty of power outlets—it’s not going to pay the bills, which is exactly what cafes across the country have realized. Some Starbucks locations in New York have even started covering up power outlets, while other coffee shops have put a limit on the amount of time you can use their free Wi-Fi before you have to buy something else or pay for internet use. Panera Bread cuts computer users off after just half an hour during their busiest periods, and Caffe Trieste, a North Beach cafe, has decided to change the Wi-Fi password every two hours. This way, someone has to buy something if they want the new password. The Wooden Spoon, a cafe in Colorado, has taken things a step further by altogether banning laptops, tablets, and Wi-Fi. If you’re not sure about taking a drastic measure and banning Wi-Fi or laptops entirely, consider a different approach, perhaps a table-top sign with designated “laptop free” hours during busy times. 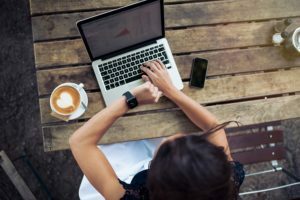 While you don’t typically want customers to linger if they’re only going to order a single coffee and then take up table space for the next three hours using your free Wi-Fi, getting them to stick around isn’t always a bad idea. In fact, some cafes have become so good at profiting from customer lingering that it’s all but encouraged. Enter the board game cafe. In a board game cafe, puzzles, board games, and other similar activities are available for free, or for a small price. Some even sell board games. 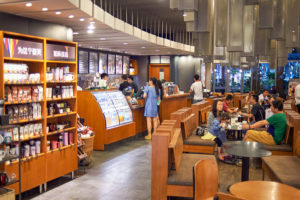 These cafes take advantage of the basic human desire to socialize and connect with others; patrons tend to come in with either their own group of friends, with family, or on their own in the hope of meeting others. Due to the social nature of board games, drinks and snacks for group consumption are generally enjoyed as well. In this case, more people lingering equals more money. 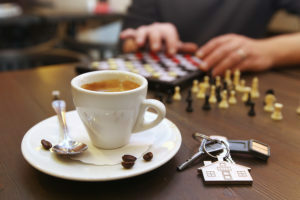 According to neuroscientist Jon Freeman, cafes that put an emphasis on games—like his own, The Brooklyn Strategist—are really tapping into the innate desire people have to connect with other people, something that’s becoming harder to do in a world that doesn’t do as much face-to-face communicating as it used to. In fact, business has been so good for The Brooklyn Strategist that they’ve been working to convert their backyard into another game-playing space. You don’t have to turn your entire space into a board game cafe to take advantage of this trend. According to the SBDC National Information Clearinghouse, introducing games, puzzles, and mind benders into the mix is a great way to boost sales, and to market your business. Plus, you can start small without spending too much money. If people pick up on it, great—you’ve found a niche. If not, you get to take the board games home and enjoy them anyway. Did you know that since 2007, gift cards have been the most requested item on holiday wish lists? In fact, in 2015, gift card sales reached a new peak of $130 billion in sales, a six percent increase on sales in 2014. By 2018, this number is expected to hit $160 billion. If you haven’t yet prioritized gift cards as part of your sales strategy, now is the time. The popularity of gift cards isn’t entirely surprising when you consider the freedom and flexibility these cards give people—they can buy what they want when they want it. There’s really no reason for coffee shops not to capitalize on this trend, especially considering Starbucks’ immense success in this arena. 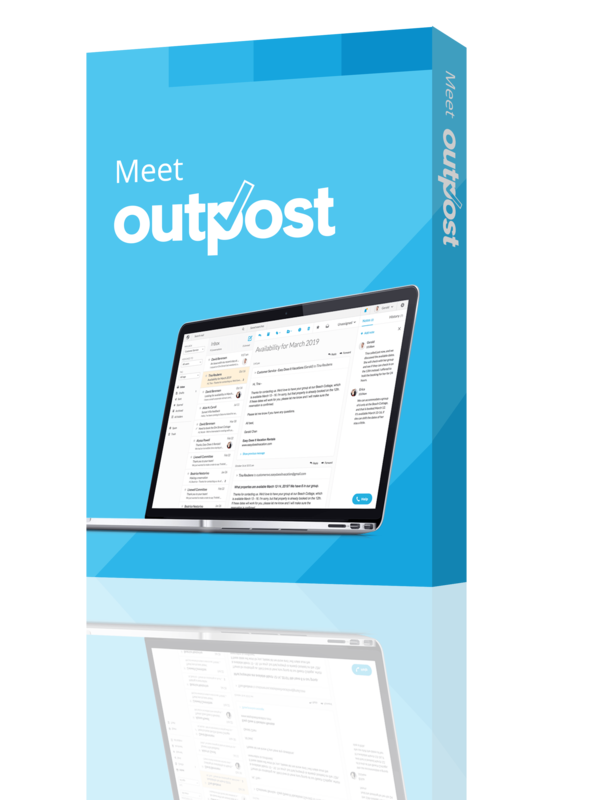 They’re a great option overall, as they increase revenue and profit margins, increase the likelihood of potential future sales, and generate interest from unredeemed balances. 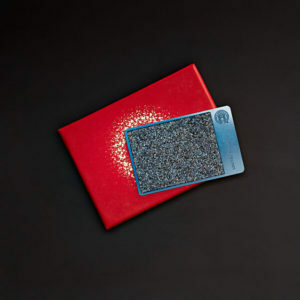 If you’re really into looking the part, why not try something super creative like this crystal-encrusted gift card? If you’ve ever made a last-minute decision to buy a chocolate or a magazine at the cash register, you’ve fallen prey to point-of-sales (or point-of-purchase) marketing—and it’s not at all surprising. Did you know that 82 percent of mass merchant purchase decisions are made inside a store? That means that people are buying things they didn’t intend to buy; they’re buying on impulse. According to Ian Zimmerman, an experimental psychologist who studies consumer behavior, “Impulse buying is related to anxiety and unhappiness.” Oftentimes, we buy things in an attempt to improve our mood or make ourselves feel happier. There are of course multiple reasons for why people make impulse purchasing decisions, but the fact of the matter is that they do. So, why not consider placing small affordable items near the cash register, or along the shelves in the waiting line? This could include items like chocolates, candies, cookies, chewing gum, magazines, gift cards, jewelry, or whatever else you think your customers might like. Remember, if you fail to understand what your clients want, or what they’d buy on impulse, you’re not going to make any sales. Consider getting out to speak to your customers face-to-face to find out more about what they want, or what they’d buy. We call this market research and you can do it before you’ve started a business, or after the fact. It’s never a bad idea to learn who your customers are; after all, they may have changed over time. If you frequent Starbucks, you may have noticed their usual artistic display of mugs, drinking glasses, and gourmet coffee. However, it turns out that display isn’t just for decorative purposes. A 2014 POPAI study reveals that 16 percent of unplanned purchases are driven by a display the shopper saw while shopping. So, for every 100 people who see that Starbucks display, 16 are going to buy something. Not too shabby considering the display takes no active, ongoing work—just a keen, artistic eye to begin with. Of course, your display might come in the form of signage—it doesn’t have to be physical. But if you want to stand out and, as advertising insights group KDM says, “win at the in-store purchase decision game,” merchandising displays are a great bet. Consider how you personally shop when you’re in a department store or a coffee shop. You tend to gravitate toward those things that have eye-catching signage. Sellers know this, but typically tend to use this tactic to highlight sales promotions. But, sales are not the only reason to create signs. So, next time you’re looking to sell more of a certain product, think about the sign or display you’re going to make to get customers’ attention. 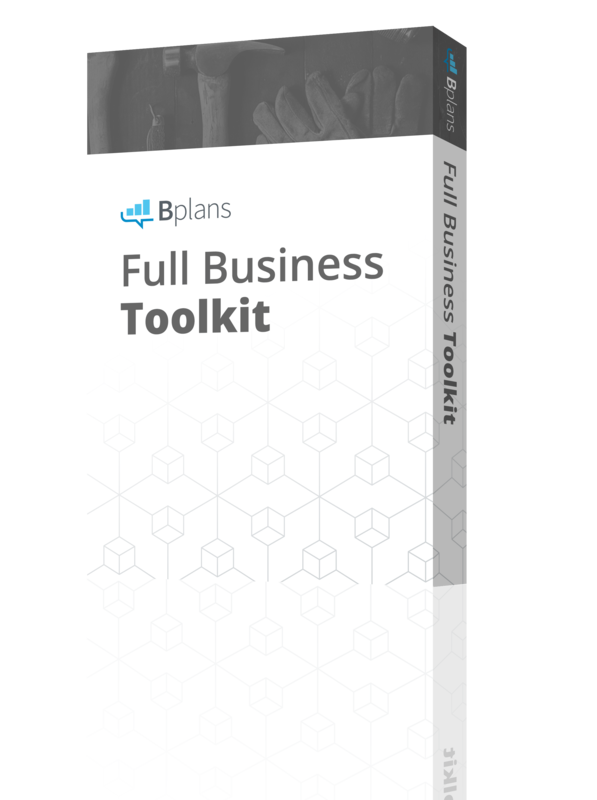 Ready to start planning your business? 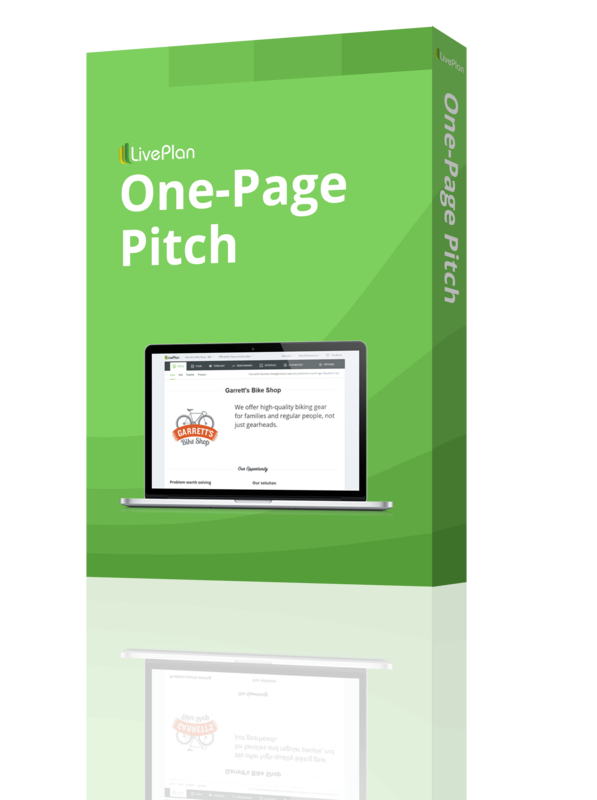 Now that you’ve got a good idea of the different services you can offer to increase your revenue, it’s time to put your idea to paper. 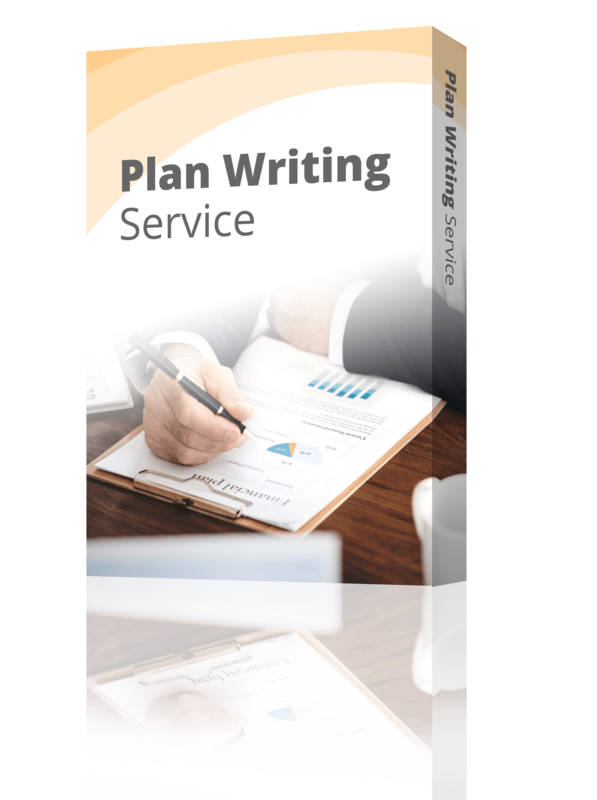 Take a look at some of our free sample business plans to see what others are doing.